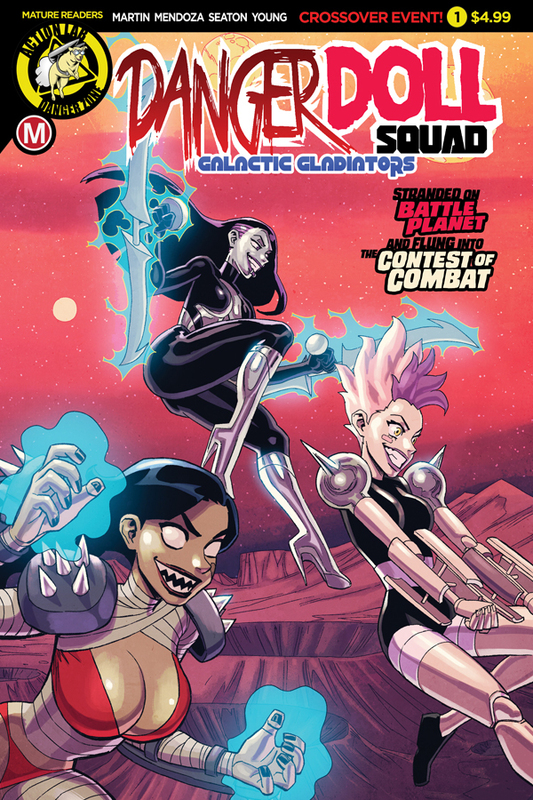 PREVIEW: The DANGER DOLL SQUAD returns in GALACTIC GLADIATORS! The deadliest characters in the ZOMBIE TRAMP UNIVERSE come together once again, and this time they’re… in space! 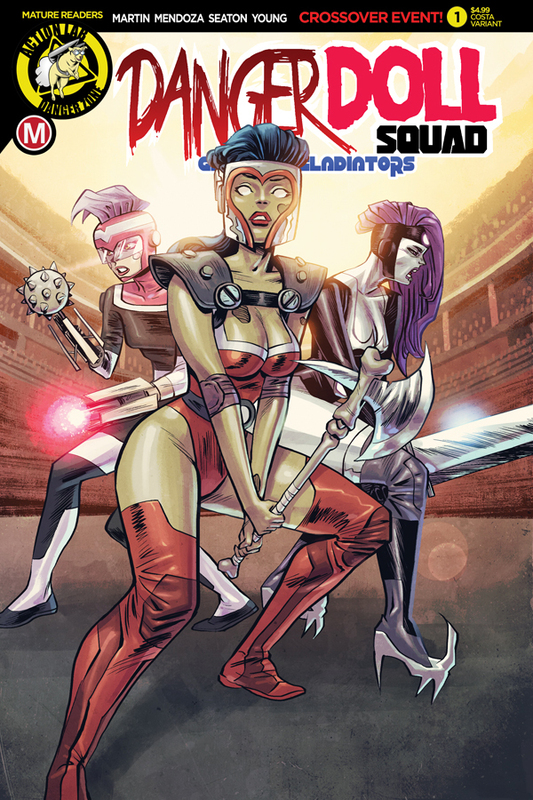 When a cosmic threat forces Zombie Tramp, Vampblade and DollFace into combat on a mysterious battle planet, the most lethal ladies of Earth must face off with some of the baddest gladiators from across the cosmos! After 2017’s landmark DANGER ZONE crossover between the undead dark magic queen ZOMBIE TRAMP, the 17th-century ball jointed witch hunter DOLLFACE, and the other-dimensional parasite slayer VAMPBLADE was such a huge hit, the creators behind the event were eager to do a sequel!